Photos: Axis / São Pedro City Hall. Mission – São Paulo is the capital with the highest GDP in Brazil. However, the state’s interior has greater economic strength than some countries, such as Chile. São Pedro, located 200 kilometers from the capital, experienced a growth in population accompanied by an increase in crime. Without having a video surveillance system, the city needed to act in order to keep its economy growing. The solution was to invest in 20 km of fibers optics and then to reinforce the security of its citizens and tourists with a digital video surveillance system. 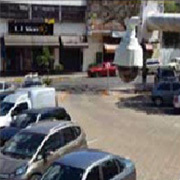 Solution – The city received approximately 430 Axis cameras for the surveillance of public buildings, schools, hospitals, streets, and avenues. At the city’s accesses, Axis cameras read vehicle license plates and this information and images are shared with the Military Police and city departments. In addition to helping with the security, the cameras show, in real time, the level of the reservoirs from SAAESP, the authority responsible for the water supply in São Pedro. Results – With the installation of the system, police response became swifter. This increased the feeling of security among tourists and residents. Every day, 15 thousand vehicle license plates are captured by the system. During the first months after the expansion of the operation, for example, flagrante delicto arrests grew 133%. The images are also used to monitor the city’s water supply and to inform the departments regarding public service operations. “The benefits and the reliability of the equipment led us to adopt the equipment from Axis. There are some cameras here with four years of uninterrupted use. Our maintenance rate is extremely low and it was essential for the expansion of the project”. São Pedro’s streets and avenues are covered by AXIS models Q6114-E, AXIS P5635-E and AXIS Q6155-E, which the Military Police even uses to plan actions. With this smart use, there was an increase in the number of flagrante delicto arrests registered at the São Pedro Civil Police Precinct after the system was installed: in six months it went from 6 to 14. The number of flagrante delicto arrests in the same period experienced a 100% increase. In the list of cases solved through the use of images, there are also robberies, thefts and even help in solving the only homicide recorded in the city in the period of six months. In one of the curious cases, someone left a purse in the square. With the use of the images, the person responsible for the theft was identified and the victim got her purse back. “Quite often, we can identify the person responsible for more than an action and make an arrest with the help of these tools”, reinforced lieutenant Sol Reys, from the 3rd Military Police Regiment. São Pedro was facing a wave of actions by swindlers. At the city’s three vehicle entry and exit portals, AXIS P1365 and AXIS P1365-Mk II equipment was installed with Digifort software, capturing 15 thousand license plates per day on average. “The vehicles entering and leaving the city have their license plates stored. This information is also sent to a Military Police center in São Paulo for analysis. If the system detects a plate from a stolen vehicle, the information is transmitted to the São Pedro Military Police”, explains Francisco Guerreiro, responsible for the Operations and Intelligence Center of São Pedro. Thus, it was possible, for example, to arrest swindlers from Rio Claro, a municipality in the region, who decided to go to São Pedro to pull their scams. With the license plate number of the vehicle used, the Police was able to get to the criminal. “We have a surveillance center with the autonomy of registering license plates. If the vehicle enters the city, the system warns our agents. With cameras scattered throughout the city, in the event of an occurrence, it is possible to trace routes that the criminal may have used or to use the images to prepare the police before an approach is made”, explains Guerrero. There are 19 schools in the city, all with cameras, in addition to hospitals, public buildings and basic health units. The images are seen by the departments in order to assess public services and to monitor the entry and exit of students. The cameras are also used to check the level of the reservoirs of the Water and Sewage Autonomous Service of São Pedro (SAAESP), who is responsible for the city’s water supply. The local authority is responsible for 11 artesian wells and 30 reservoirs that supply the city. The AXIS M1125-E and AXIS Q6155-E models are positioned on top of the reservoir and with the PTZ camera zoom, the video surveillance center’s viewing range is up to 2 km. “For the SAAESP reservoir, the use of images goes beyond safety: they are useful to check the level of the water tanks and, therefore, avoid water shortages in the neighborhoods, lack of maintenance or even overflowing – in case of oversupply”, comments Guerreiro. The initial contact of the city with the brand was at the 2013 ISC Brazil Fair. At the booth, Axis was displaying a city simulation with innovations for public safety. “We got to know Axis at the ISC and the equipment’s technology and reliability led us to adopt the brand’s IP cameras”, recalls Guerrero. Organization: São Pedro City Hall. Location: São Pedro, São Paulo, Brazil. 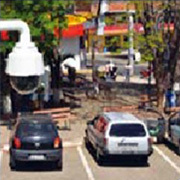 Application: Video surveillance of public roads. 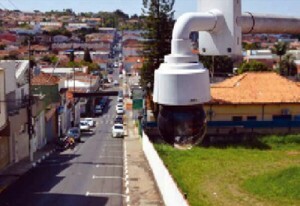 * For more information on solutions from Axis, access www.axis.com/citysurveillance. To find an Axis solution & product reseller, access www.axis.com/where-to-buy. The software provides technological solutions for the areas of digital intelligence, corporate surveillance, and urban security. It has approximately 25 thousand customers worldwide and about 450 manufacturers with more than 10 thousand integrated camera models. Presently, its platform is continuously developed in Brazil, commercialized in over 130 countries, and translated into several languages, making the software one of the best in international market evaluations. It has own offices and representative in Brazil, The United States, Hong Kong, England, Australia, New Zealand, Argentina, Colombia, Mexico and the United Arabic Emirates. More information is published at www.digifort.com.br.